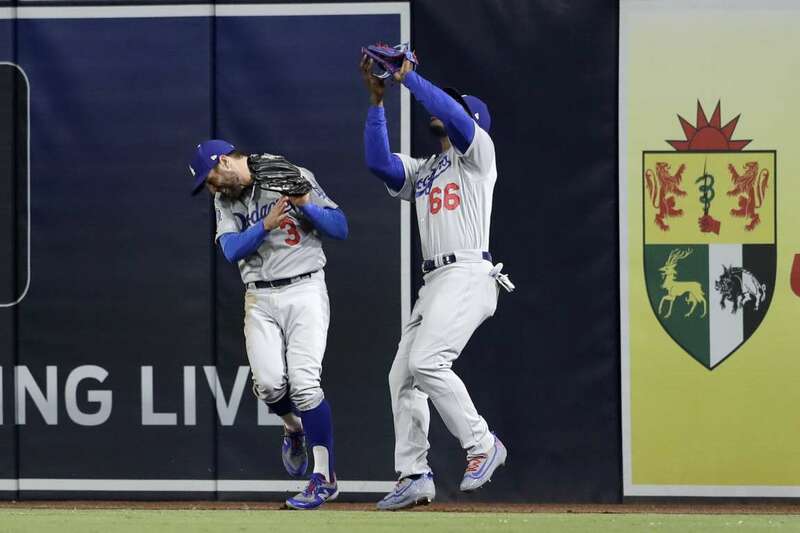 The Dodgers' Yasiel Puig, right, makes a catch at the wall for the out on the Padres' Jose Pirela as teammate Chris Taylor, left, nearly collides into him on Tuesday in San Diego. The Dodgers won 7-3. Photos - U.S. Daily News: Watch out!